I don’t know about you, but I look forward to snack time as much as the kids do! At first I was resistant to letting kids have a snack in the classroom, but I came to realize that snacks are a very good thing. Why? Kids have smaller stomachs and need to eat every 3 to 4 hours to keep their bodies energized. We all get sluggish when we haven't eaten in awhile. Many kids eat breakfast very early in the morning and there is usually a 5 to 6 hour wait until lunch at school. The same may be true if your lunch is earlier in the day, because then you have a longer afternoon in the classroom. Either way, students are not at their best when it's been more than 3 hours since they've had something to eat. Eating snacks will keep everyone energized and better able to focus on learning. When? When you have snack time depends on your schedule. My students had a later lunch time so we had snacks in the morning. Students in the younger classes had an earlier lunch time so they had snacks in the afternoon. But, as I stated before, it may help your students to have a snack time in both the morning and the afternoon. In order to be less disruptive to my instruction time I always started snack time after a transition--- after we returned from a specials class, after recess, after a restroom break, etc. At some point in the morning or afternoon we were up and moving somewhere and I found it easy to have snack time as we returned to the classroom. I also let them snack while they worked. As long as the snack itself wasn't too distracting, I found that kids can eat and listen, read or write at the same time! What? I think it's important to have guidelines for student snacks. Kids need to learn what healthy snacks are and I didn't want to encourage unhealthy eating habits by allowing junky snacks. At the beginning of the year, a list of snack ideas was sent home, along with a list of snacks not allowed. I had kids complain, but I never had a parent say they didn't want their child to eat a healthy snack. I encouraged snacks that are easy to eat. Open the package and pop it into your mouth was always the best kind of snack for the classroom. The less mess, the better. Need an idea for healthy snacks? I created a Pinterest board for healthy snacking with some really fun and unique ideas. You can share the board with parents if they're ever stuck about what to send to school for their child's snack. 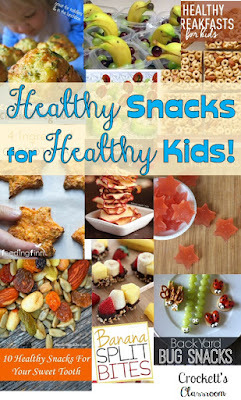 Follow Crockett's Classroom's board Healthy snacks for kids (and adults!) on Pinterest. Here are a few of my favorite. How? This part of snacking at school varies greatly from class to class. I've seen a lot of different snack plans through the years. What you decide to do will depend on your group of students/parents, your school or district guidelines and your schedule. 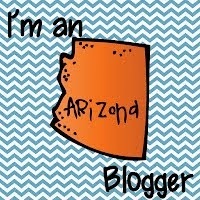 I'll describe a few suggestions and then you can put together the snack plan that fits your class needs. 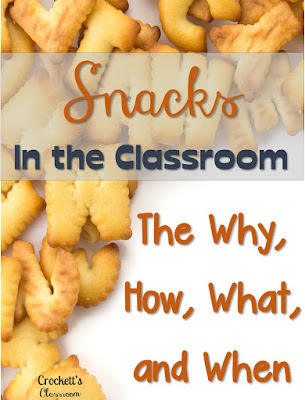 Whole-class snack: This ideas has one student providing a snack to share with the entire class. The whole class snack can be brought in daily, or it can be brought in ahead of time and then stored in the classroom. Of course, if you use the bring ahead idea the snacks will will need to be nonperishable. At snack time, the child who brought in the snack gets to choose a friend to help pass out the snacks. I like the idea of having whole-class snacks stored in the classroom so you always have a snack for that day. Even if one child forgets to bring in their whole-class snack you'll have other snacks for the day. But, it would require storage space. You can also do whole-class snacks one day at a time. Students are assigned a day for the class snack and bring in the whole-class snack on that day. These snacks wouldn't have to be nonperishable. Fruit and homemade snacks would keep for a few hours and be fine to serve that day. Problems come up when a student forgets to bring the snack on their assigned day. If you keep an emergency set of snacks it could be a life-saver! Individual student snacks: For this idea students bring in their own snack each day. At snack time they get out their snack and enjoy! It's super simple, but not without possible problems. What do you do if a student forgets his/her snack? What if they continually bring snacks from the "not allowed" list? You'll have to decide how to handle these issues, set the guidelines and enforce them. I always had individual student snacks and decided to let parents/kids decide if they wanted to participate in snack time. Most students brought a snack, but many did not. Because it was their choice, I didn't keep extra snacks for the snackless kids. But, there was a couple of years when I knew a student needed a snack and their family just wasn't able to provide one. For those few students I kept granola or snack bars in a special cabinet just for them. If other students wanted to bring in a box of nonperishable snacks ahead of time and keep them in this cabinet, I let them. One think to keep in mind when you're planning snack time is your school or district policy. My district had a policy that any food shared with other students had to be purchased from a store, no homemade foods were allowed. This was a health and safety issue. They wanted to make sure that all foods were prepared in safe and clean conditions. This included snacks and birthday treats. If you plan on doing the whole-class snack sharing make sure you follow district policies. Do you have a snack time? How do you set it up? 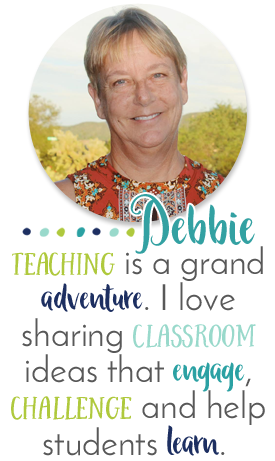 I'd love to hear how other teachers manage snack time.